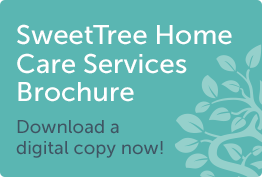 Farming For All and SweetTree Home Care Services combined the vast care farming experience of Farming For All with the award winning care and transitional living focus of SweetTree Home Care Services to develop the care farming experience. SweetTree Farming For All encourages and enables participants to positively engage in the great outdoors through farming, horticulture and other outdoor activities. Each project is designed to inspire, educate and engage clients in regular routine and in the great outdoors. The therapeutic benefits of working and learning in the great outdoors have been widely recognised for many years. Some of these many benefits include; better physical health, improved psychological health and social benefits. Participants can join in with an existing farming or horticultural project such as Dig Deep or SweetTree Fields Farm, a 14 acre site in North West London or interested parties can become a ‘partner’ to deliver a new community based project. We provide guided activities and training at allotment, farm, outdoor or educational sites for adults and young people. Typical activities include livestock farming, horticulture, bush crafts, horsemanship, falconry, conservation, eco and nature crafts, Forest Schools and cooking. Activities can be curriculum linked and we also offer City and Guilds accredited horticultural training on a long term basis. The SweetTree Farming For All team have the experience and skills to work with children, adults and older people with a variety of care and support needs including; learning disabilities, mental health issues, dementia, physical disabilities, offending histories, educational exclusion and alcohol/substance dependencies. Family members or support organisations can refer a client to one of our existing projects. SweetTree Farming For All benefits from close relationships with local, regional and national funders. Some of our projects are free to attend for clients because of this. We can work with you to design and deliver a new project, build an allotment or create a community engagement project. Contact us to discuss your ideas. We deliver stand alone workshops and weekly courses for social services, charities, schools and other support organisations, tailored to the group or individual’s needs.